The OTTER Award is designed for ALL students in grades K-5. We recognize that elementary children transition into chapter books at different ages and, as such, do not limit our reading or voting to a specific age or grade level. This Washington State Award is given yearly to a transitional chapter book starting in 2017. The award is sponsored by Washington Library Association's School Library Division and is voted upon by students in Washington State. 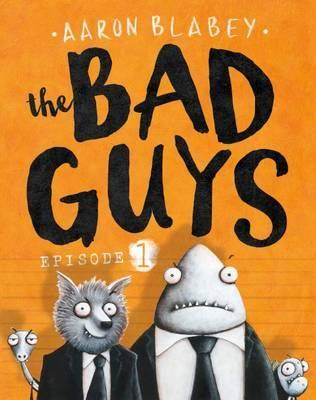 The OTTER Award Committee is proud to announce The Bad Guys: Episode 1 by Aaron Blabey as the winner of the 2018 OTTER Award for transitional readers. In its second year, 5,500 students across WA state read & voted for their favorite nominee. The Bad Guys: Episode 1 received 2,024 votes. We thank you for supporting transitional readers by sharing these titles with students and look forward to announcing another winner next May.